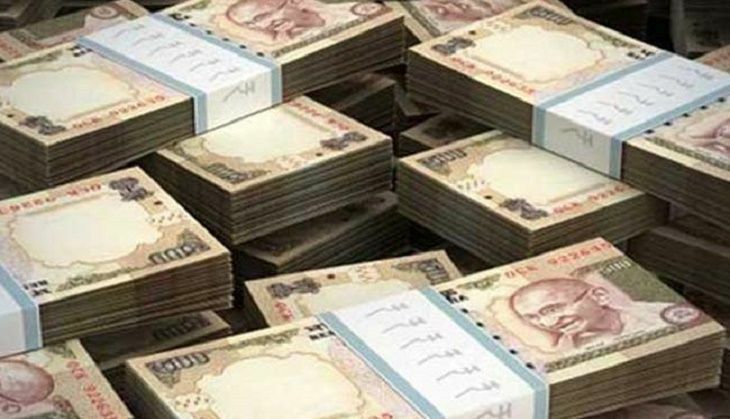 The funds held by Indians with banks in Switzerland fell by CHF 596.42 million to CHF 1,217.6 million at the end of 2015, as per the latest data released on 30 June by the country's central banking authority SNB (Swiss National Bank). This is the lowest amount of funds held by Indians in Swiss banks ever since the Alpine nation began making the data public in 1997 and marks the second straight year of decline. The funds held by Indians with Swiss banks stood at a record high of CHF 6.5 billion (Rs 23,000 crore) at the of 2006. However, the quantum of these funds has been falling since then, except for in 2011 and 2013 when Indians' money had risen by over 12% and 42%, respectively. At the end of 2015, the total funds held in Swiss banks by Indians directly stood at CHF 1,206.71 million (down from CHF 1,776 million a year ago), while the money held through 'fiduciaries' or wealth managers was down at CHF 10.89 million (from CHF 37.92 million at 2014-end). The total stood at CHF 1,814 million at the end of 2014. This is the lowest-ever level of funds held through fiduciaries, which used to be in billions till 2007 but has been falling amid fears of regulatory crackdown. The total "amounts due to customers' savings and deposit accounts" fell to CHF 425.8 million (from 1,378 million a year ago), while the money held through other banks incidentally more than doubled to CHF 270.4 million (from CHF 100.6 million). The 'other liabilities' of Swiss banks towards Indian clients, which include funds held through securities etc, rose from CHF 297 million to CHF 510.4 million. The latest data from Zurich-based SNB comes at a time when Switzerland has begun sharing foreign client details on evidence of wrongdoing provided by India and other countries. It has agreed to further expand its cooperation on India's fight against black money and expects to sign a new pact for automatic information exchange 2018 onwards. Besides, a team of Indian officials are expected to visit Switzerland soon to expedite the pending information requests about suspected illicit accounts of Indians in Swiss banks. SNB's official figures also do not include the money that Indians or others might have in Swiss banks in the names of entities from different countries. As per the SNB data, the total money held in Swiss banks by all their foreign clients from across the world also fell by nearly four per cent or over CHF 58 billion to CHF 1.41 trillion ($1.45 trillion or about Rs 98 lakh crore).